Enjoy a dazzling side chair that will maintain its appearance for years to come – the Casale Side Chair. Designed to complement the décor in a home or office, the side chair offers awe-inspiring leatherette that blends durability and comfort like never before. The side chair also features a timeless look and feel that make the chair a great addition in a modern or retro setting. Choose a side chair that is sure to impress day after day – the Casale Side Chair. Features soft, durable leatherette upholstery that will maintain its appearance for an extended period of time. Boasts powder-coated legs that deliver a great mix of style and function. Includes a strong, sturdy internal frame. 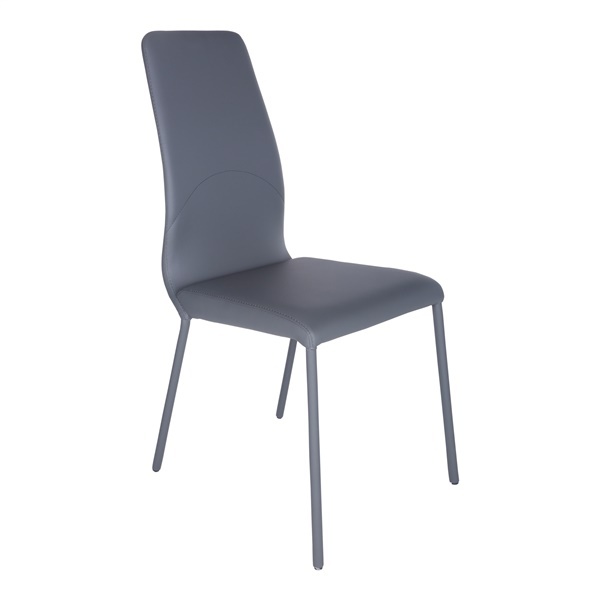 Timeless design makes the side chair a great fit in a modern or retro setting. Provides an excellent addition in any home or office.